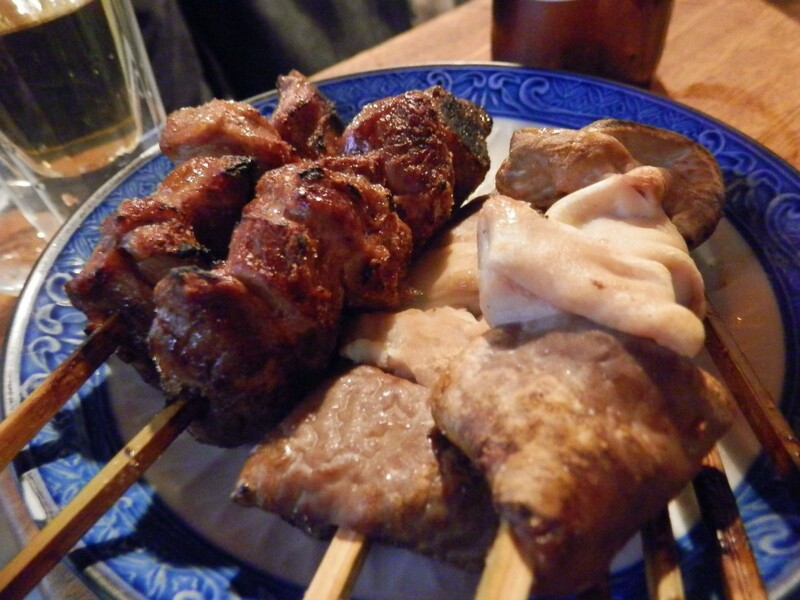 Today, we visited “Uchida”, the most popular Motsuyaki(skewered roast giblets)restaurant around Keisei Tateishi station. It is located a minute walk from Keisei Tateishi station. 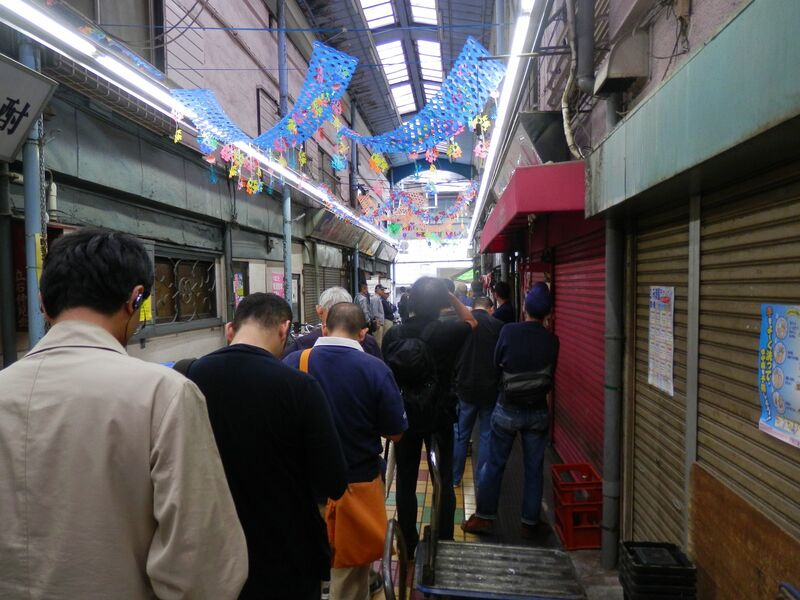 We arrived there 30 minutes before its opening and found such a long line of people. We were afraid that we could not enter at its opening (14:00) but could get almost the last seats. First, we cleared our throat with beer. 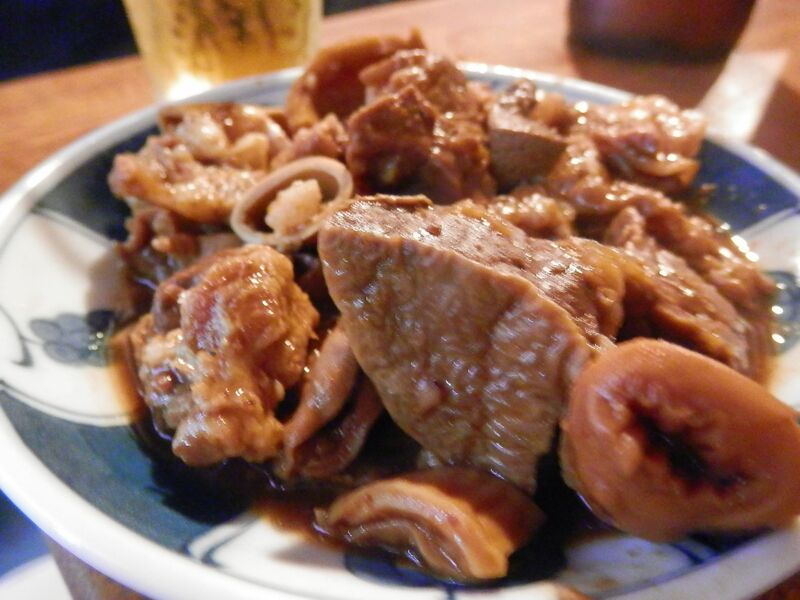 Nikomi(An innards stew). Ingredients of Uchida’s Nikomi are big, not that sweet and suit with sake. 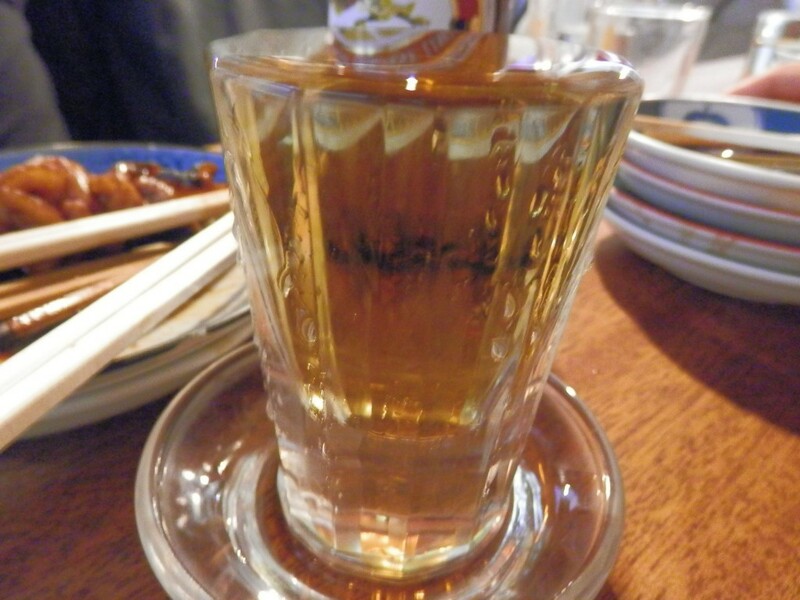 Shochu with ume(prune) syrup. This is a must drink here at Uchida. Filled a glass with shochu and put ume syrup on it. Good with Motsuyaki. From the left, Shiro(Tare) and Liver(Tare). The former was good with tare(dip) and the latter was sweet and delicious. From the left, Kashira(Shio) and Gatsu(Shio). Kashira(Head) was juicy and Gatsu had great texture. 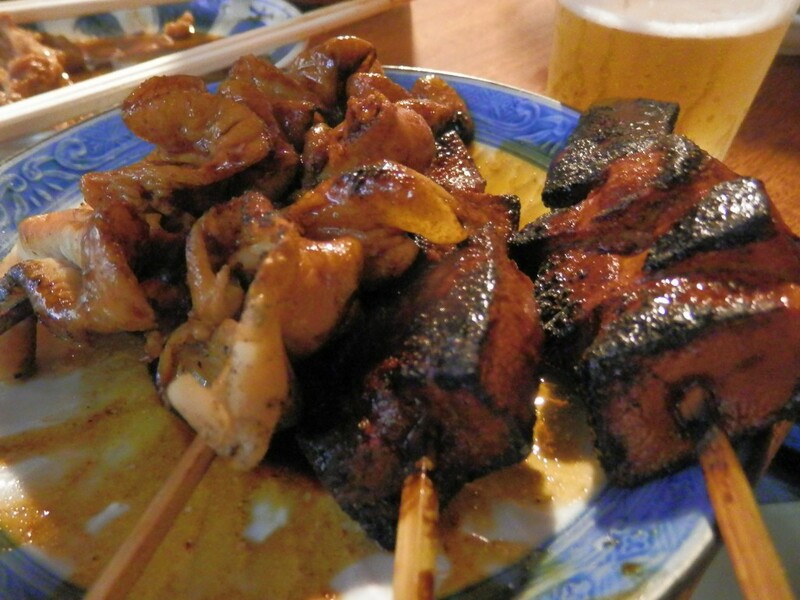 Two of us had a large bottle of beer, 2 glasses of shochu with ume, a Nikomi and 8 motsuyakis. What we paid was just ￥2,000. Incredibly cheap!! 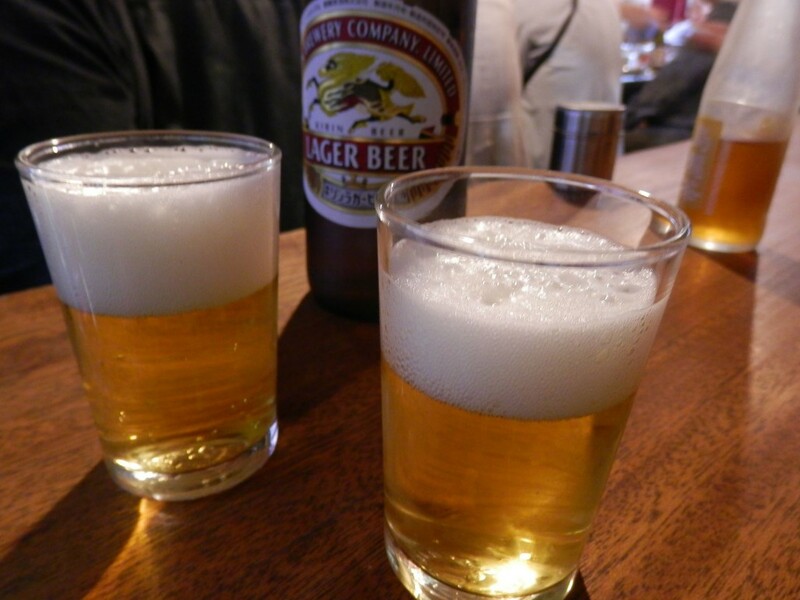 Why don’t you visit “Uchida” at Tateishi which is loved by a lot of drinkers.